Dining at Quality Hotel & Suites "At the Falls"
Casual fare in our popular Niagara Falls hangout, Legends Bar & Grill, you’ll find plenty of options to fulfill your dining needs. Our on-sight restaurant is great for dining, drinking and room service! 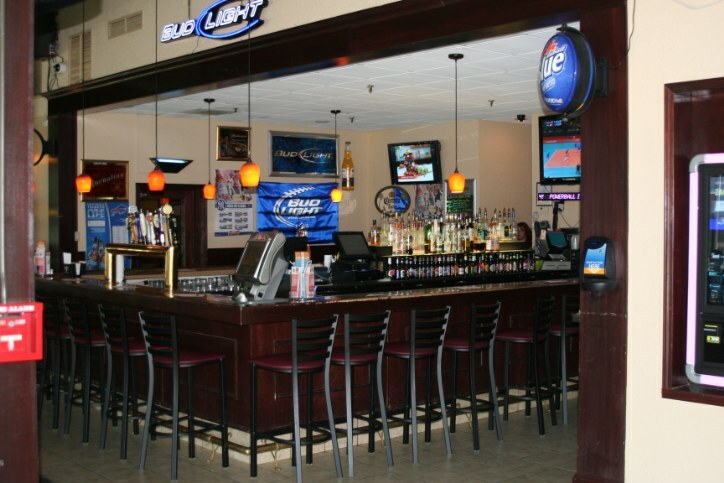 Legends Bar & Grill is the on-site restaurant at Quality Hotel & Suites. Legends is open everyday for breakfast, lunch, dinner and cocktails. The diverse menu selections ensure that there is something for everyone. Daily beverage and food specials are available and a special patio menu for dining and relaxing outside on the spacious, seasonal patio. The renovated bar features refreshing beverages with a variety beers from around the world! Dine in or pick up. Room service available.